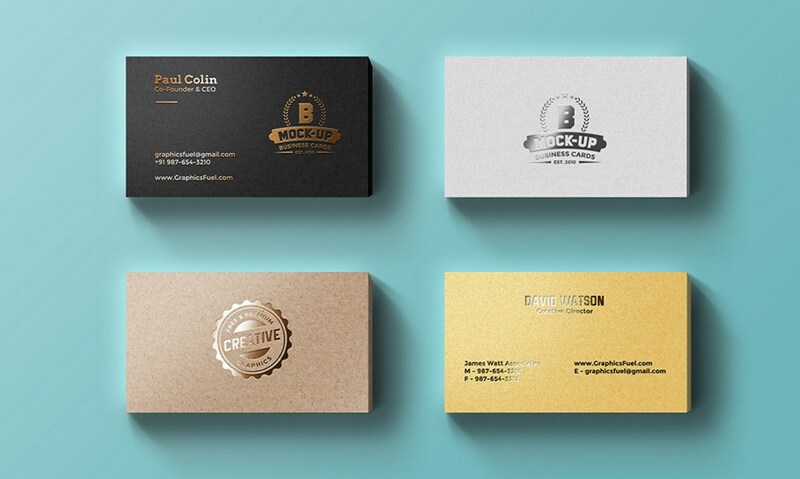 Friends, today’s design resource is a set of 4 metallic foil business cards mockup templates. The metal foil accents include gold and silver with changeable text and logo on the business cards using the smart-object layers in the PSD file. You can also change the background colors easily. These mockups are highly useful to showcase your card designs for professionals like businessmen, attorneys, realtors, executives, etc.